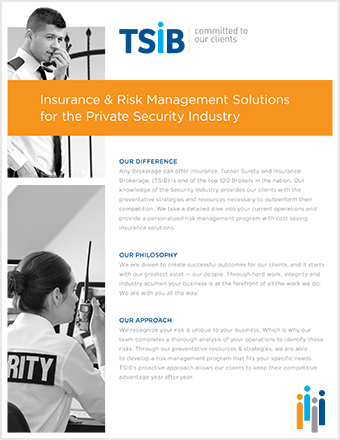 Security - Turner Surety and Insurance Brokerage, Inc.
Risk associated with the Security Industry can be costly and complicated. Developing the most effective Risk Management Strategy is critical to the success and ability of your company to compete. TSIB develops and manages specialized insurance programs with the appropriate coverages for your business at the most competitive rates. Being a TSIB client means much more than discussing renewals once a year. It starts with a thorough analysis of your business, a commitment to improvement and a preventative risk management strategy. 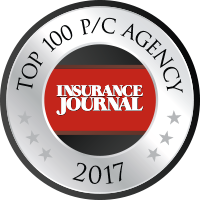 We continue to make sure you have the support of industry leading experts who are providing year-round support, immediate claim advocacy & management, and a deep commitment to delivering results. 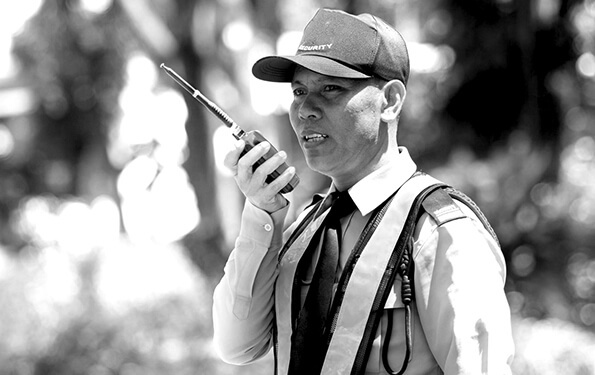 Download our free guide on Insurance & Risk Management Solutions for the Private Security Industry. Join our dynamic team! At TSIB, we are Committed to our Clients and to our workforce. Copyright © 2019 by Turner Surety and Insurance Brokerage, Inc.